How many miles would you go for a friend? 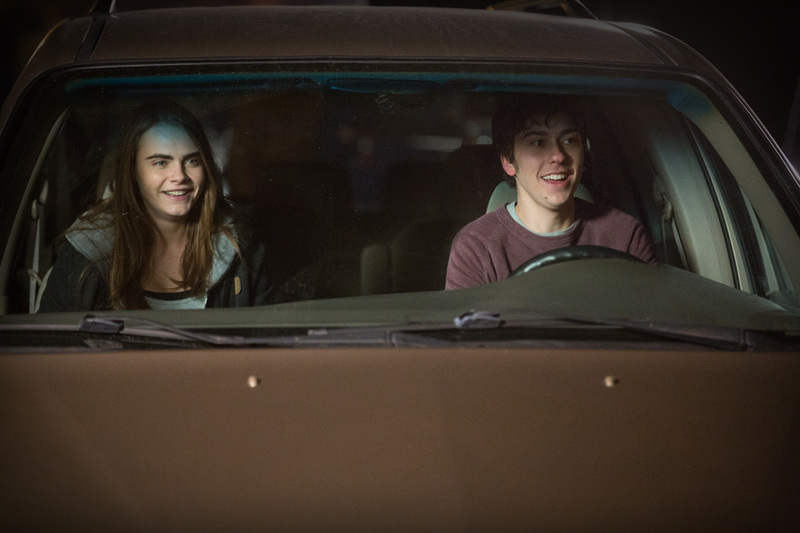 In the very endearing coming of age movie, “Paper Towns” based on bestselling tome by John Green, high school friends drove and rode more than a thousand miles for a friend to find the girl he’s smitten with since he was nine. 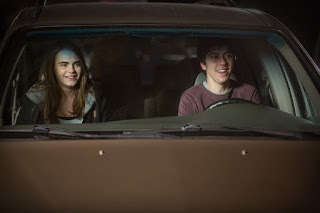 From the same team that produced “Fault In Our Stars,” “Paper Towns” tells the story of Quentin (Nat Wolff), a romantic and studious teenager, who is in love with Margo (Cara Delevingne), his beautiful and enigmatic next-door neighbor. 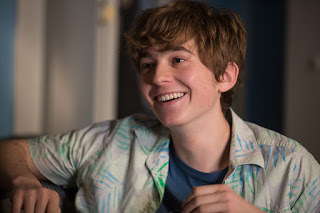 Good friends as children, they have since grown apart.But one night, towards the end of high school, Margo persuades Quentin to join her on a wild, night long adventure, which involves a series of outrageous pranks. But the next day, Margo disappears, leaving behind a trail of clues. Q and his friends set off on a road trip to track her down. Directed by Jake Schreier, Q’s story began when he was nine when the lovely Margo moved into the house next door. A studious boy who has his life mapped out, Q is close to his similarly clever and slightly nerdy classmates, Ben (Austin Abrams) and Radar (Justice Smith). 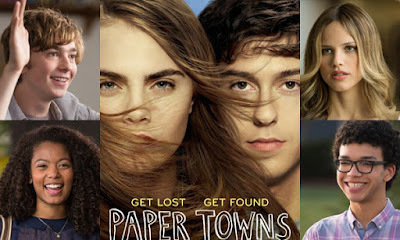 In finding Margo, the group bonds along their journey and what begins as a mission to find the missing girl turns into a fun-filled, transformational journey of discovery, as they head for a ‘paper town’, called Agloe in New York. While the story centers on the relationship between Q and Margo, the supporting cast have their own interesting trajectories. “Everybody is at the center of their own story and I wanted them all to have arcs,” says Green. 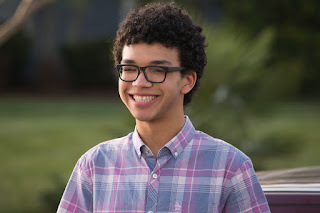 Justice Smith plays Q’s friend Radar who is on the road trip with his girlfriend Angela. “He’s nicknamed Radar because he looks like Radar from M*A*S*H, but the only similarity is that they both have glasses and they're both very intelligent,” says Smith. “Radar is obsessed with looking up facts and solving puzzles and mysteries. He is obsessively organized. 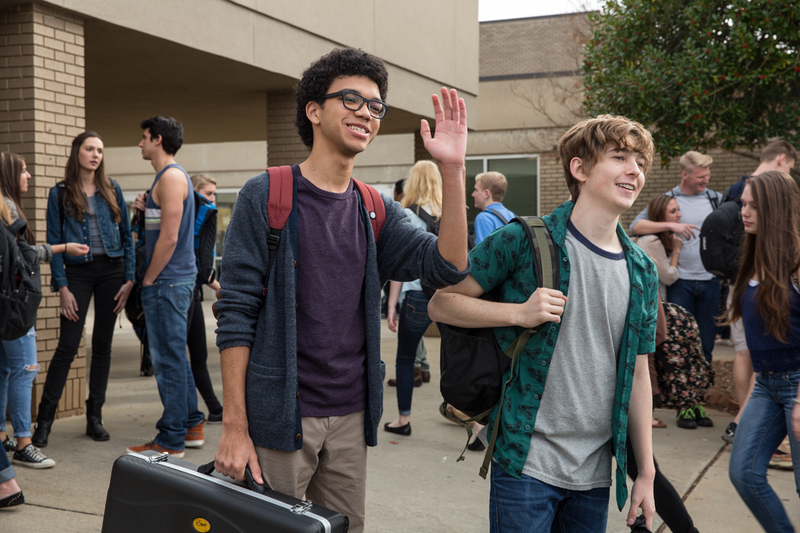 Smith and Jaz Sinclair who plays Angela, were actually friends before landing the roles in “Paper Towns.” “It was a huge coincidence that we ended up playing boyfriend and girlfriend. We have lots of chemistry and a solid connection; it’s awesome,” Sinclair shares. 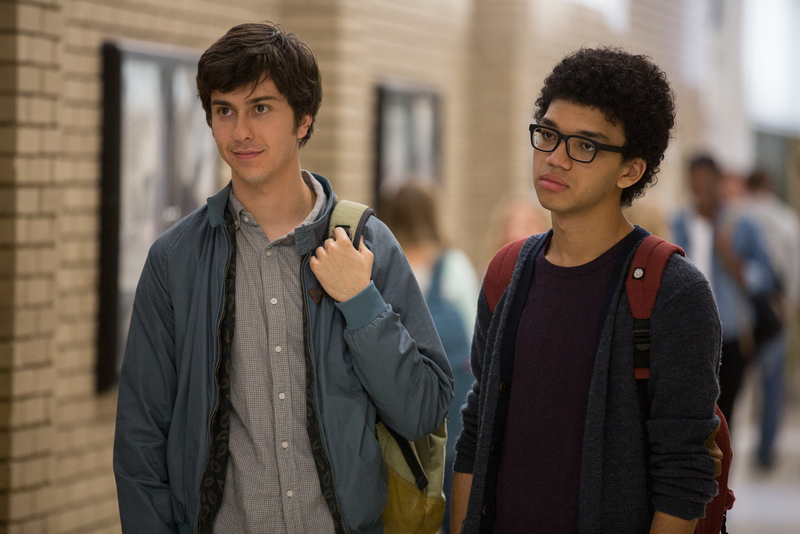 Also on the road trip is Q’s friend Ben (Abrams), who is obsessed with Lacey (Halston Sage) but considers her to be way out of his league. “Lacey is known as the pretty blonde girl in high school but you find out that she is actually very smart and she has a brain, there’s a lot more to her than her looks,” says Sage of her role. It’s a date with friends when “Paper Towns” opens July 22 in cinemas nationwide from 20th Century Fox to be distributed by Warner Bros.